天氣轉變令皮膚變得乾燥，有什麼保養方法呢？The cold winter weather is drying my skin, any good tips for skin care? 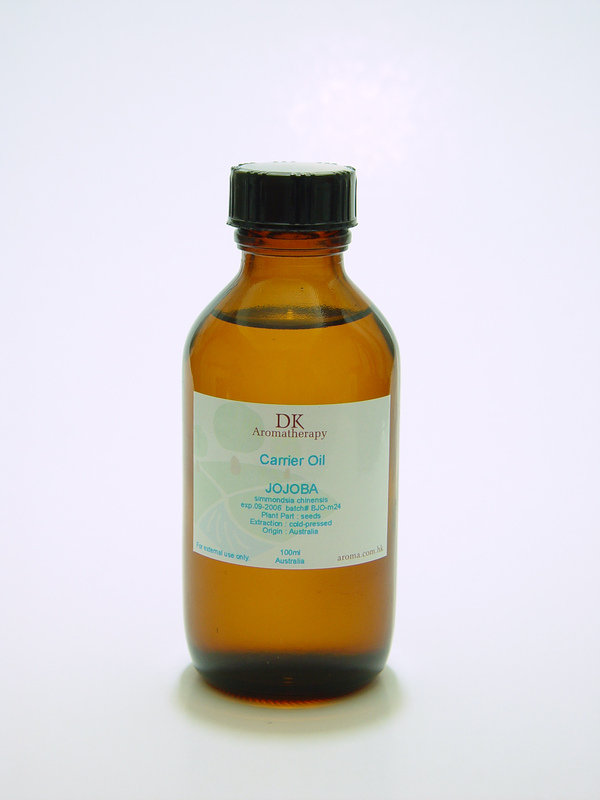 There are a few base oil are hydrating and moisturizing: coconut oil, macadamia oil, jojoba oil. Add 10% of base oil into the unscented shower gel/cream base, which gives you moisture as well during shower, very time-saving and convenient. 因長期站立,小腿有靜脈曲張現象,應如何舒緩?How to relieve varicose veins on calf? How to relieve varicose veins on calf? 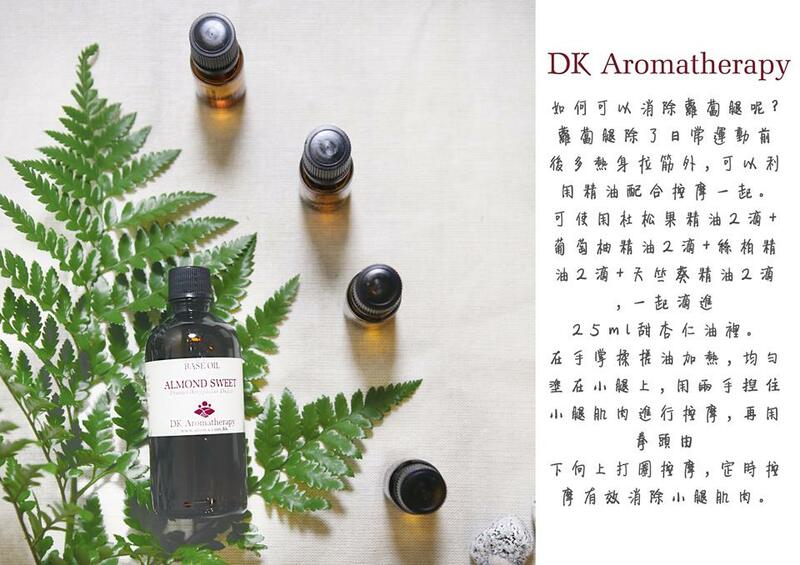 You can blend the following massage oil and apply it to the affected area. 天氣乾燥, 使皮膚變得很乾, 甚致更出現發炎及又紅又癢的情況, 我可以怎樣處理呢?As the weather is turning dry, the skin becomes dryness, red, itchy and even get inflammated, how can I handle this problem? As the weather is turning dry, the skin becomes dryness, red, itchy and even get inflammated, how can I handle this problem? You can use the following formula to prepare a anti-inflammatory and anti-itch moisturizing cream. Apply it to the affected area twice a day. 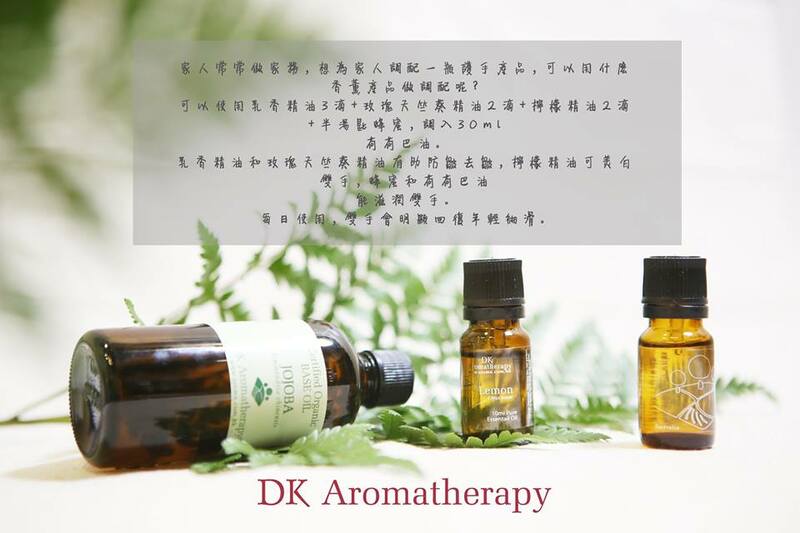 想自製幫助入睡的按摩油,可使用什麼精油呢?Which essential oils can be used to help sleeplessness? Which essential oils can be used to help sleeplessness? Mix well and use it after bath. 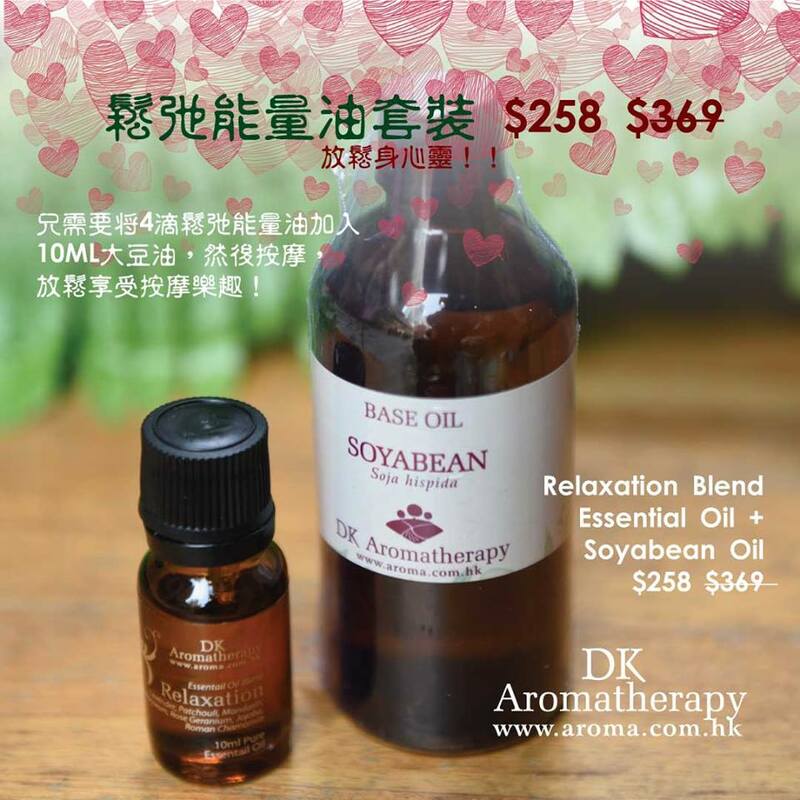 Apply with massage, it can help to avoid sleeplessness.